Slimming World Diary: Weigh In .. ?? So I told you on the last post how I was completely expecting a gain, or best scenario a maintain. Well tonight was weigh in and the time to face my snacking and no exercise. I lost 2.5lbs and got my 3 stone award!! I don't know, I really don't know, I can't explain it, I really thought I did really bad and I was so disappointed in myself and then I go and do that. All I can think is that it was all in my head, I mean I did snack but it didn't do as much damage as I thought. Now I have to re-set my Christmas target which was at 3 stone, since I hit that tonight I have now set it to 3 and a half. That's 6lbs in 7 weeks, I can do it! Also tonight my best friend Gareth lost 4lb and hit his 4 stone award, I am amazed and so proud of him. Always helps to have friends as your inspiration! He also blogs, so you can get your inspiration as well here. 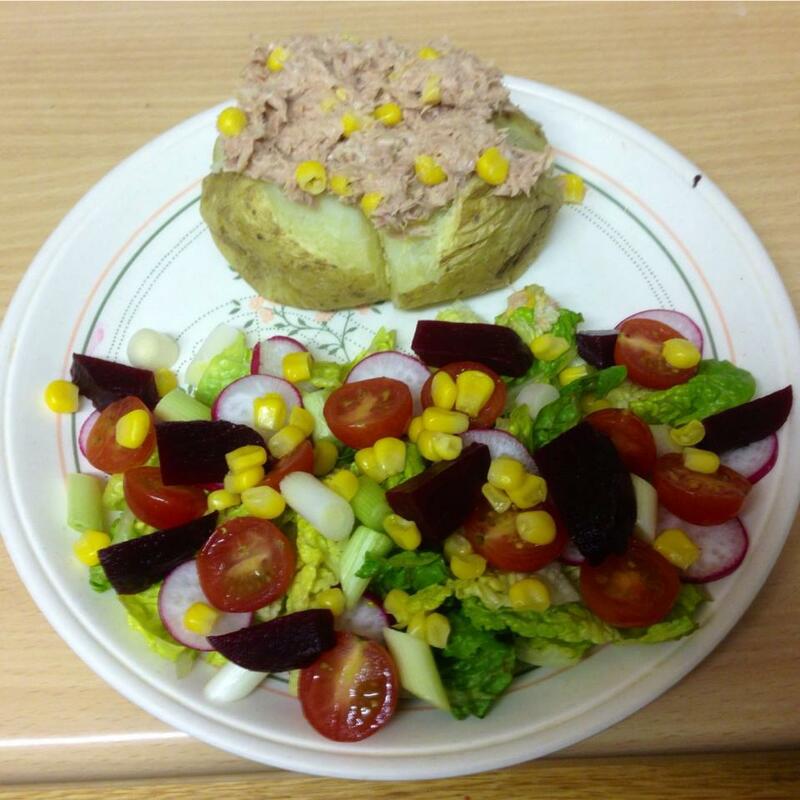 When I got home tonight I had a healthy dinner of Jacket potato with tuna and sweetcorn, with lots of super free salad. It was absolutely delicious. !